Ambitious and expanding businesses are increasingly aware of the importance of a high quality visual brand presence on broadcast and internet platforms. The necessity of having a well designed and professionally created set for this purpose is of paramount importance. At ECD we are one of the most experienced and leading design teams in this field. The new purpose-built studio for Citywire Financial Publishers Ltd in Vauxhall London is a fitting addition for the brand of this expanding business. With over 200 staff in offices in London, New York, Munich and Milan, Citywire required a media hub with maximum flexibility for a variety of platforms. 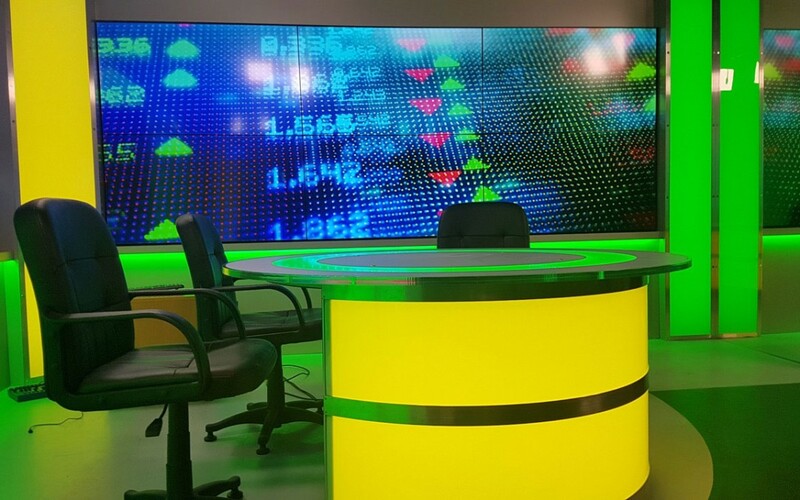 We designed and installed a set which enables them to host a variety of content with a vast menu of visual options.